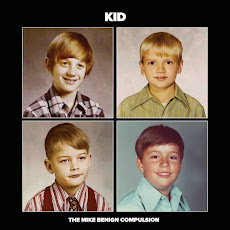 The Mike Benign Compulsion: New video: "You Say It's Over"
New video: "You Say It's Over"
Introducing the third video from The Mike Benign Compulsion's "Here's How It Works" LP. For the "You Say It's Over" video, Jersey artiste Thenos Pitword pieced together elements from Ken Hanson's photo shoots for the album cover and sleeve. The result is a veritable tour-de-force of blinking and tooth-showing. The new video also features Milwaukee icon Joe Pabst in all of his live action and stop motion glory. On the music track, Daniel McMahon lent a McHand on Hammond organ and backing vocals. And Joe Vent channeled Exile-era Keith on guitar (sans needles, of course).